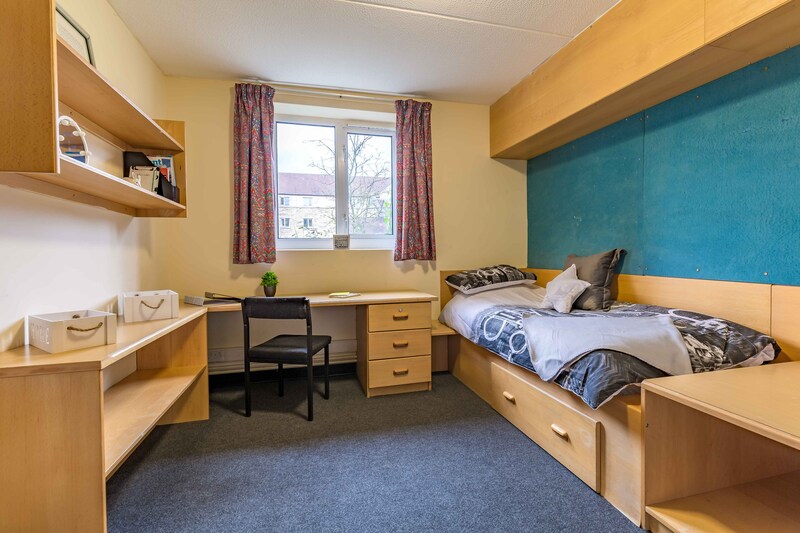 This room has a single bed, chair, desk, shelves, notice boards and ensuite. Room size 4050mm x 3180mm. 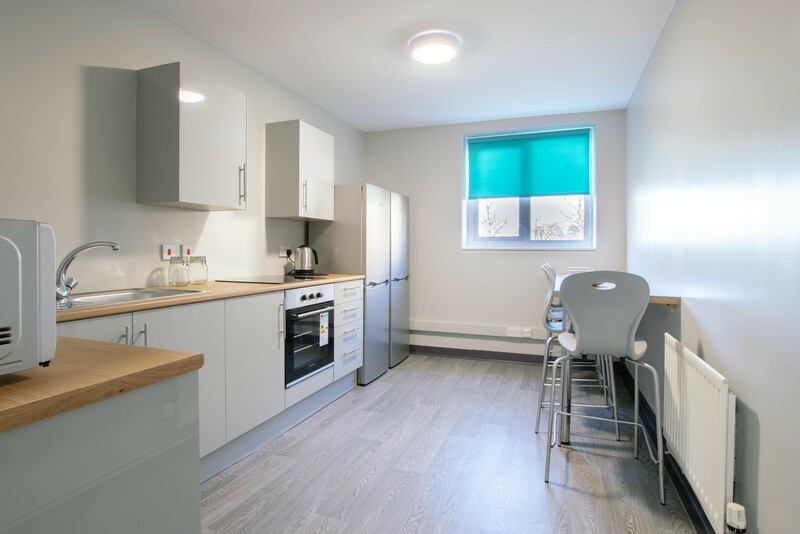 With a standard kitchen perfect for socialising. Plus get another 2 weeks free rent off the price shown! 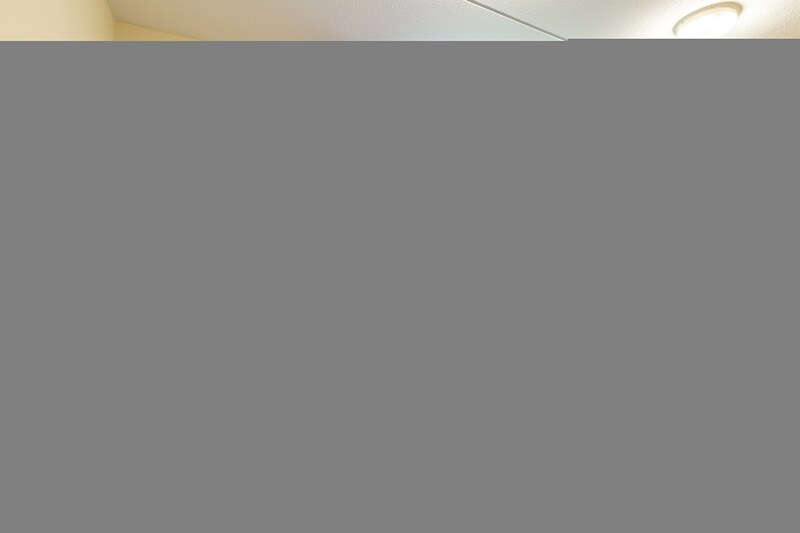 A single refurbished room with a feature wall, desk chair and noticeboard in our Block v Block colour scheme. 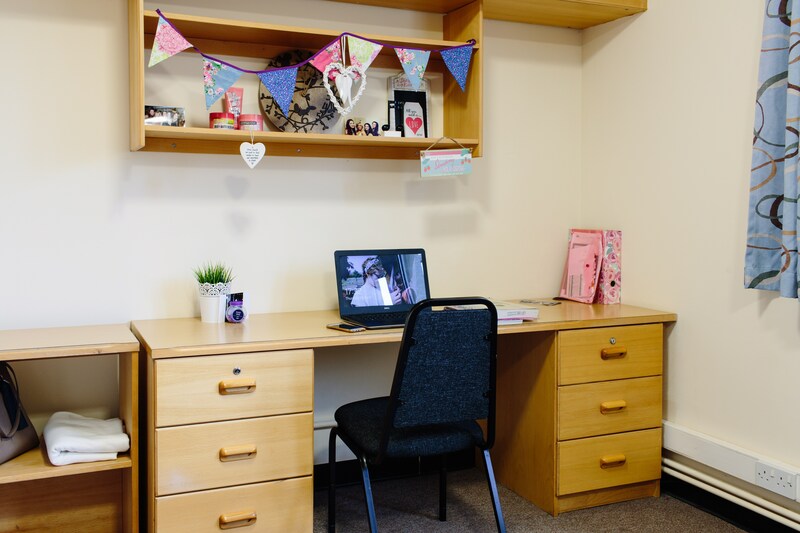 The rooms have a single bed, chair, desk, a noticeboard and en-suite. Room size 4050 mm x 3180. 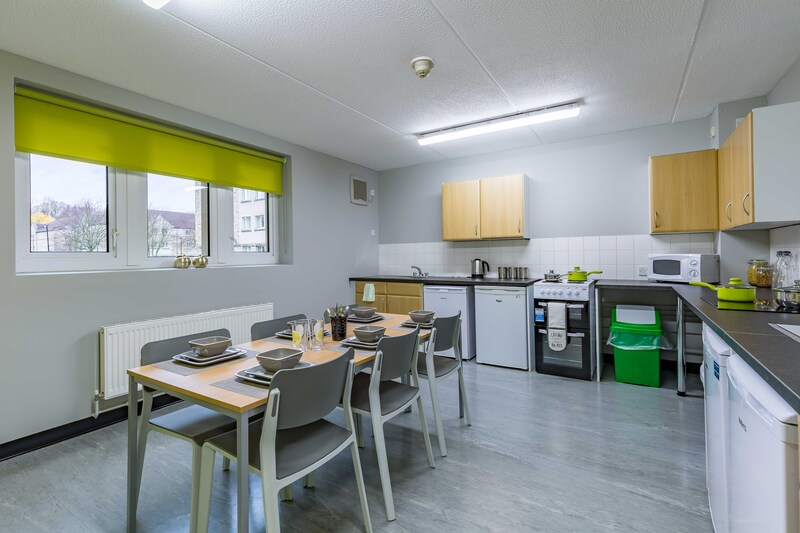 With the dining style kitchen you will get a large dining table with seating - perfect for cooking up a feast for your friends or flatmates! Plus get another 2 weeks free rent off the price shown! 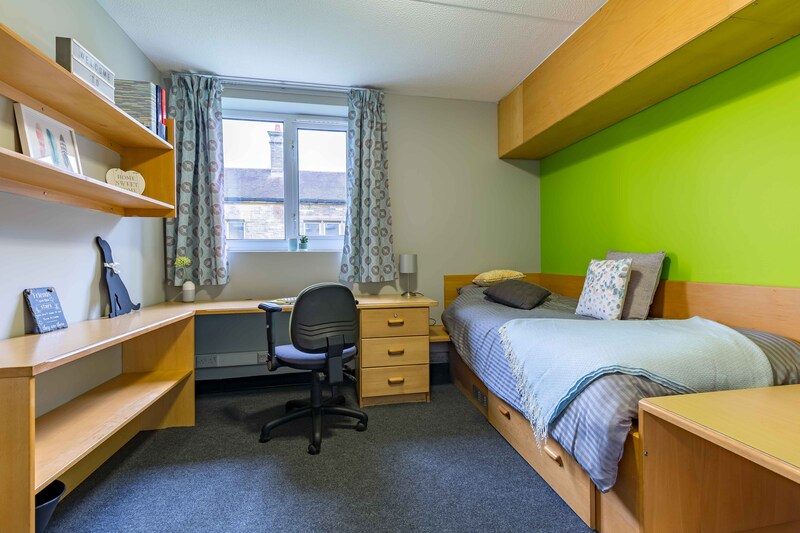 A single refurbished room with a feature wall, desk chair and noticeboard in our Block v Block colour scheme. 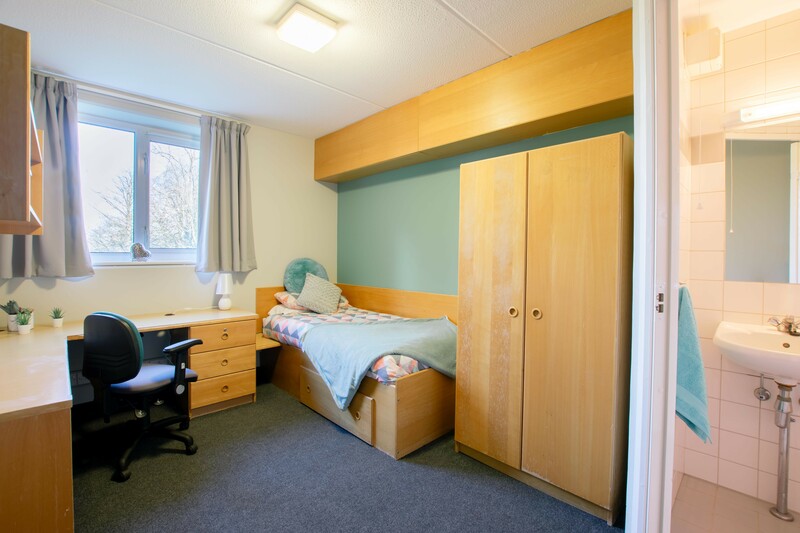 The rooms have a single bed, chair, desk, a noticeboard and en-suite. Room size 4050 mm x 3180. 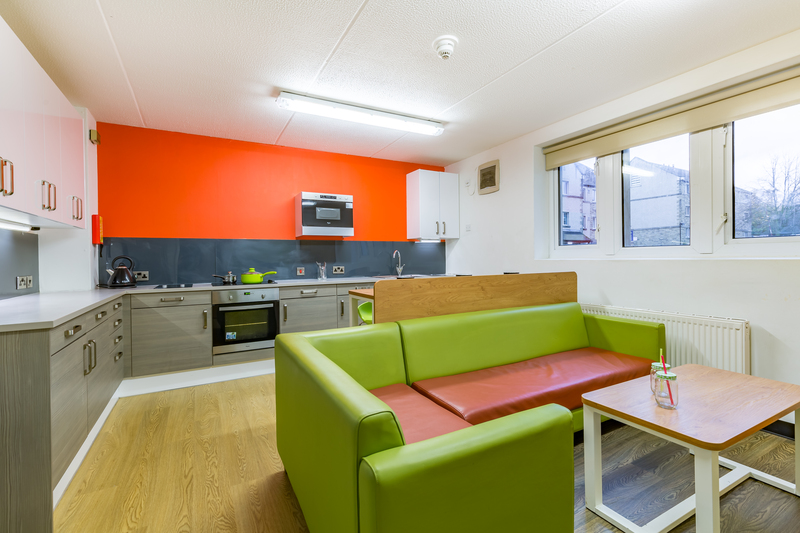 If you opt for the social style kitchen you will get a comfortable sofa area, breakfast bar and flat screen TV. Plus get another 2 weeks free rent off the price shown! 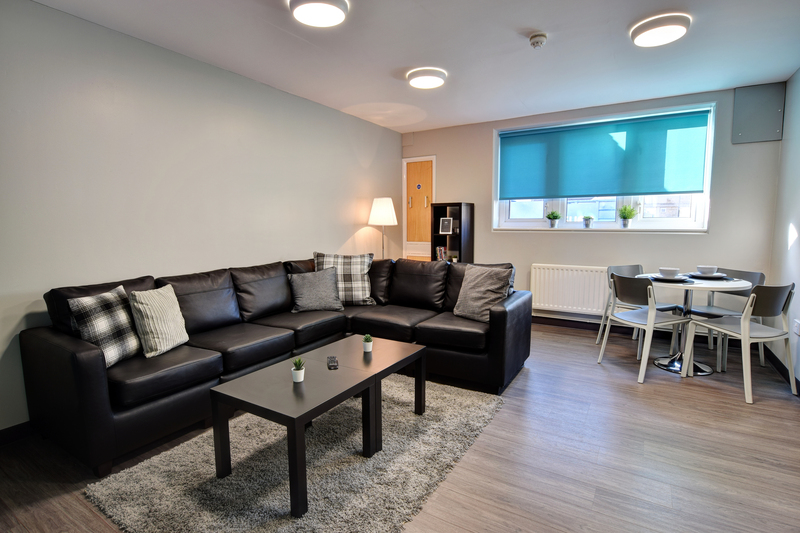 Our brand new room type! 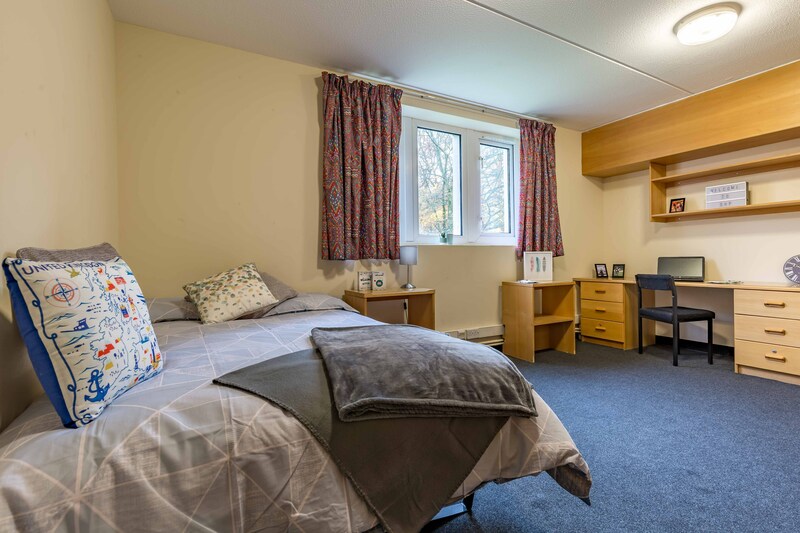 Classic Plus Ensuite with premium kitchen and lounge rooms have a single bed, chair, desk, shelves, notice boards and ensuite. Room size 4050mm x 3180mm. 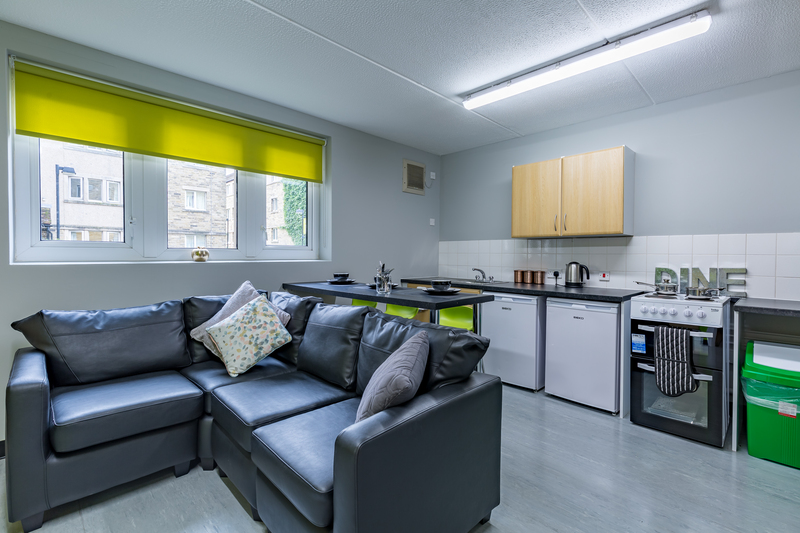 These specific flats have a vibrant upgraded separate kitchen with a modern lounge area complete with a TV. 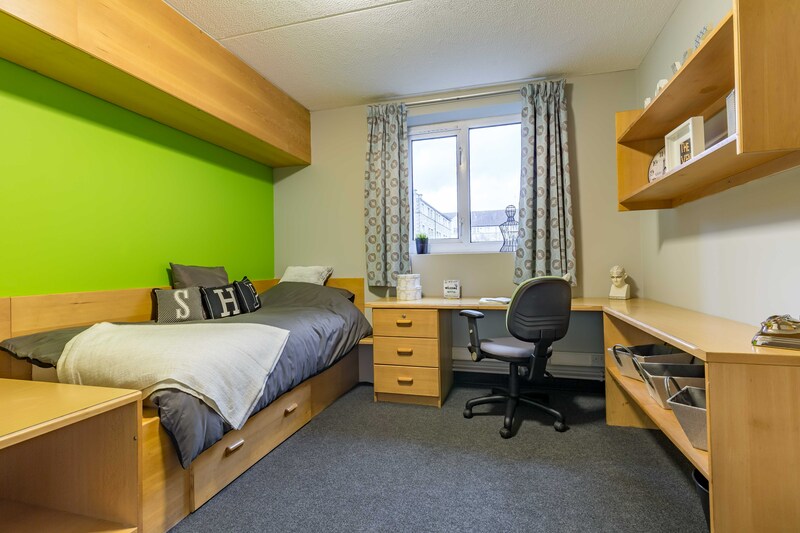 Classic Double Ensuite Rooms have a comfortable double bed, chair, desk, shelves, notice boards and ensuite. 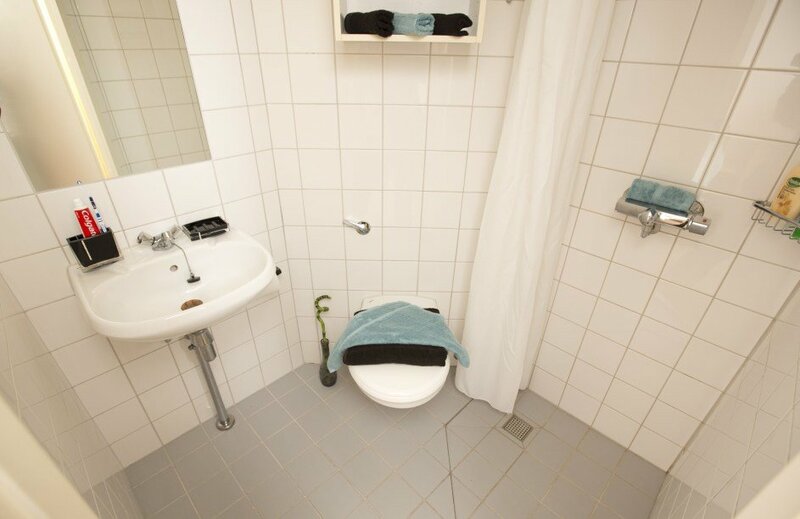 Perfect for those who like their space and comfort. Room size 4870mm x 4050mm. 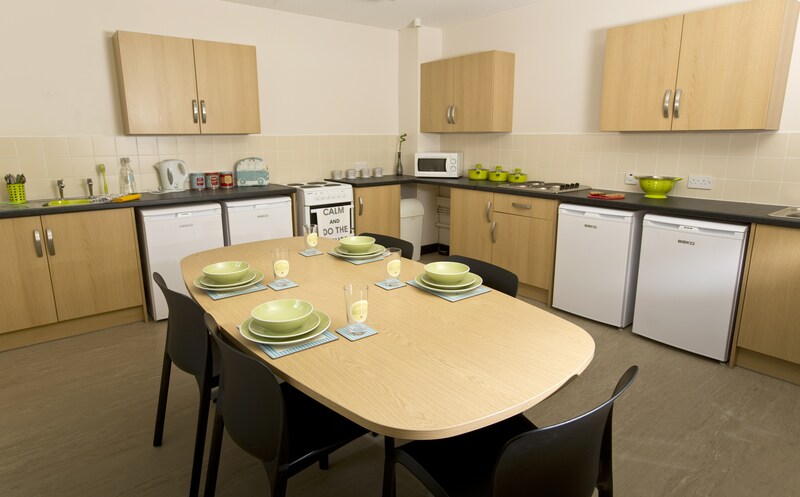 Standard kitchen perfect for socialising Plus get another 2 weeks free rent off the price shown! 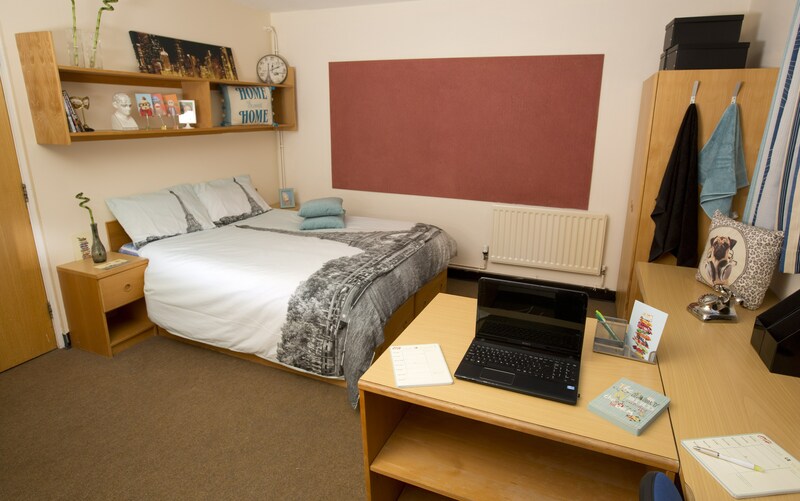 Classic Double Ensuite Rooms have a comfortable double bed, chair, desk, shelves, notice boards and ensuite. Suitable to fit two, perfect for you and a partner. Room size 4870mm x 4050mm. Standard kitchen perfect for socialising. Plus get another 2 weeks free rent off the price shown!